ESTOS TÉRMINOS Y CONDICIONES GENERALES REGULAN EL USO DEL SITIO WEB DE LA SOCIEDAD MEXICANA DE MEDICINA CRITICA CARDIOVASCULAR A.C. Y TODA SU GAMA DE PRODUCTOS Y SERVICIOS EN LÍNEA DISPONIBLES. LA SOCIEDAD MEXICANA DE MEDICINA CRITICA CARDIOVASCULAR A.C , EN LO SUCESIVO, SE REFIERE INDISTINTAMENTE A LA "SOCIEDAD Y/O CARDIOCRITICA" CON EL SIGUIENTE DOMINIO: HTTP://WWW.CARDIOCRITICA.ORG Y TODOS AQUELLOS DOMINIOS Y SUBDOMINIOS PAGADOS CON DIRECCIONAMIENTO A ESTE DOMINIO PRINCIPAL. EL COMITÉ DEL SITIO WEB ES REPRESENTANTE Y ESTÁ OPERADO COMO WEBMASTER POR GRUPO JANO. EL SITIO WEB DE LA SOCIEDAD SE ENCUENTRA EN ESPAÑOL. AL UTILIZAR EL SITIO WEB CARDIOCRITICA.ORG, USTED ACEPTA CUMPLIR CON LOS SIGUIENTES TÉRMINOS Y CONDICIONES. POR FAVOR, LEA ATENTAMENTE PORQUE CONTIENEN INFORMACIÓN IMPORTANTE Y JURÍDICA RELACIONADAS CON EL SITIO WEB. QUE IMPLICAN DERECHOS Y OBLIGACIONES DESDE Y HACIA LA SOCIEDAD. PARA DETERMINADOS PRODUCTOS Y SERVICIOS, LAS CONDICIONES ESPECÍFICAS SE PUEDEN APLICAR. EN SU CASO, LA SOCIEDAD PUEDE COMPLEMENTAR ESTOS TÉRMINOS Y CONDICIONES ESPECÍFICAS DE NORMAS Y REGLAMENTOS PUBLICADO EN EL PRODUCTO O LA UBICACIÓN DE SERVICIOS WEB. EN EL CASO DE CUALQUIER CONFLICTO O DISCREPANCIA PREVALECERÁ ESTA ÚLTIMA. LA SOCIEDAD SE RESERVA EL DERECHO DE MODIFICAR ESTOS TÉRMINOS Y CONDICIONES A SU ENTERA DISCRECIÓN, SIN PREVIO AVISO, CON LA SALVEDAD DE QUE LOS DETALLES DE LAS MODIFICACIONES SE PUBLIQUEN EN EL SITIO WEB CARDIOCRITICA CUANDO SE CONSIDERE NECESARIO Y QUE ENTREN O NO EN VIGOR A PARTIR DEL MOMENTO DE LA PUBLICACIÓN. LA UTILIZACIÓN DEL SITIO WEB DE LA SOCIEDAD DESPUÉS DE LA PUBLICACIÓN CONSTITUYE LA ACEPTACIÓN DE LOS TÉRMINOS Y CONDICIONES MODIFICADOS. EN CASO DE NECESITAR MÁS INFORMACIÓN O TIENE ALGÚN COMENTARIO SOBRE LOS TÉRMINOS Y CONDICIONES, POR FAVOR, UTILICE EL FORMULARIO DE CONTACTO. REPRESENTANTE COMO PRESIDENTE 2015-2017 DE LA SOCIEDAD MEXICANA DE MEDICINA CRITICA CARDIOVASCULAR A.C.
LA SOCIEDAD Y/O CARDIOCRITICA SE DENOMINA SOCIEDAD MEXICANA DE MEDICINA CRITICA CARDIOVASCULAR A.C., Y ES DE NACIONALIDAD MEXICANA CONSTITUIDA EN LA CIUDAD DE MÉXICO; LLAMADA POR SUS SIGLAS SMMCC. LA DENOMINACIÓN DE LA SOCIEDAD, SUS SIGLAS Y SÍMBOLOS SON EXCLUSIVAS, Y SU PROPIEDAD LITERARIA Y ARTÍSTICA ESTÁN REGISTRADAS CONFORME A LA LEY. SOCIEDAD MEXICANA DE MEDICINA CRITICA CARDIOVASCULAR A.C., SE REGISTRÓ DEBIDAMENTE POR NOTARIO. EL CONTENIDO DEL SITIO WEB DE LA SOCIEDAD ES ADMINISTRADO POR EL COMITÉ DESIGANDO PARA TAL FIN, EL CONTENIDO DE TERCEROS CON PRODUCTOS/SERVICIOS/OPINONES –INCLUYENDO DECLARACIONES, TEXTOS, IMÁGENES, VIDEO STREAMING, LOGOTIPOS Y DISEÑO- ES PROPIEDAD DE LAS MARCAS ANUNCIANTES CORREPONDIENTES Y/O DE SUS AUTORES. EL CONTENIDO - PROPIO PRODUCIDO - DEL SITIO WEB DE LA SOCIEDAD PUEDE SER COPIADO Y DISTRIBUIDO DE FORMA LIMITADA PARA FINES NO COMERCIALES, A CONDICIÓN DE QUE CUALQUIER MATERIAL COPIADO PERMANEZCA INTACTO Y QUE TODAS LAS COPIAS INCLUYAN SU APROPIADA SOLICITUD Y NOTIFICACIÓN, ASÍ COMO LA MANIFESTACIÓN CORRESPONDIENTE Y CLARA EN UN LUGAR VISIBLE DE: "COPYRIGHT © AÑO ..." DE LA SOCIEDAD MEXICANA DE MEDICINA CRITICA CARDIOVASCULAR A.C., -CARDIOCRITICA.ORG-. TODOS LOS DERECHOS RESERVADOS. EL LOGOTIPO Y EL LEMA CORPORATIVO “SLOGAN” DE LA SOCIEDAD MEXICANA DE MEDICINA CRITICA CARDIOVASCULAR A.C., SON MARCAS REGISTRADAS Y SU USO ESTÁ PROTEGIDO POR LEYES INTERNACIONALES DE COPYRIGHT. LA REPRODUCCIÓN O UTILIZACIÓN DEL LOGOTIPO DE LA SOCIEDAD Y/O CARDIOCRITICA, SIN LA PREVIA AUTORIZACIÓN POR ESCRITO A LA SOCIEDAD ESTÁ ESTRICTAMENTE PROHIBIDO. LA COPIA, MODIFICACIÓN DEL CONTENIDO DEL SITIO WEB CARDIOCRITICA PARA CUALQUIER PROPÓSITO COMERCIAL SIN LA AUTORIZACIÓN DE LA SOCIEDAD MEXICANA DE MEDICINA CRITICA CARDIOVASCULAR A.C., ES UNA VIOLACIÓN DE PATENTES, DERECHOS DE AUTOR Y OTROS DERECHOS DE PROPIEDAD INCLUYENDO DERECHOS DE PROPIEDAD INTELECTUAL DE LA SOCIEDAD Y / O SUS COLABORADORES Y/O TERCEROS. CUALQUIER COPIA O REDISTRIBUCIÓN CON FINES COMERCIALES DE CUALQUIER TIPO REQUIERE PERMISO PREVIO POR ESCRITO A LA SOCIEDAD MEXICANA DE MEDICINA CRITICA CARDIOVASCULAR A.C., SE DICTAMINARÁ APROBACIÓN Y EN SU CASO PAGO POR REMUNERACIÓN DE MATERIAL CONCEDIDO. EL USO DE LAS IMÁGENES CORPORATIVAS DE CARDIOCRITICA (INCLUYENDO PERO NO LIMITADO A, GRÁFICOS, IMÁGENES, VÍDEOS ...) Y EL USO DEL LEMA CORPORATIVO “SLOGAN” ESTÁ SUJETA A LA AUTORIZACIÓN ESCRITA POR LA SOCIEDAD. CUALQUIER USO NO AUTORIZADO PUEDE DAR LUGAR A MEDIDAS ADOPTADAS POR LA SOCIEDAD PARA EXIGIR LA ELIMINACIÓN DEL MATERIAL EN CUESTIÓN DE LA VISUALIZACIÓN Y DISTRIBUCIÓN Y POSIBLE ACCIÓN LEGAL. PARA CUALQUIER PREGUNTA SOBRE LA PROPIEDAD INTELECTUAL, POR FAVOR, UTILICE EL FORMULARIO DE CONTACTO. EL SITIO WEB CARDIOCRTITICA Y TODOS SUS ELEMENTOS COMPONENTES, INCLUYENDO TEXTOS, GRÁFICOS, IMÁGENES, ENLACES Y OTROS MATERIALES ORIGINALES Y DE TERCEROS AUTORIZADOS PROPORCIONADOS POR LOS COLABORADORES, ES PARA PROPÓSITOS GENERALES EDUCATIVOS/REFERENCIALES E INFORMATIVOS SOLAMENTE Y NO DEBE TOMAR EL LUGAR DE LOS CONSEJOS PROFESIONALES DE UN MÉDICO . AQUELLOS QUE BUSCAN ASESORAMIENTO MÉDICO SIEMPRE DEBEN CONSULTAR A SU MÉDICO U OTRO PROFESIONAL MÉDICO. LA SOCIEDAD MEXICANA DE MEDICINA CRITICA CARDIOVASCULAR A.C., NO PUEDE RESPALDAR TODAS LAS DECLARACIONES U OPINIONES REALIZADAS EN EL SITIO WEB CARDIOCRITICA. EN NINGÚN CASO, LA SOCIEDAD SE HACE RESPONSABLE DE CUALQUIER DECISIÓN QUE ADOPTE O HA ACTUADO SOBRE COMO RESULTADO DE LA CONFIANZA EN EL CONTENIDO DEL SITIO WEB CARDIOCRITICA.ORG. LA SOCIEDAD MEXICANA DE MEDICINA CRITICA CARDIOVASCULAR A.C., SE RESERVA EL DERECHO DE AGREGAR, MODIFICAR O ELIMINAR CUALQUIER INFORMACIÓN, PRODUCTOS Y / O SERVICIOS DEL SITIO WEB CARDIOCRITICA.ORG EN CUALQUIER MOMENTO Y SIN PREVIO AVISO. EL ACCESO A CIERTOS CONTENIDOS GRATUITOS SÓLO ESTÁ DISPONIBLE PARA LOS USUARIOS QUE SE HAN REGISTRADO A "ÁREA DE MIEMBROS/SOCIOS" EN PLATAFORMAS EN LÍNEA PARA TAL FIN. EL ACCESO A OTROS CONTENIDOS DE PAGO ES CONDICIONADA A LA SUSCRIPCIÓN DE MEMBRESÍA DE SOCIO Y/O PAGO POR EVENTO PARA EL PÚBLICO EN GENERAL. 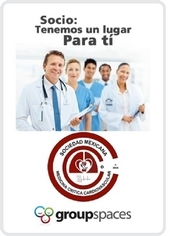 LA SOCIEDAD MEXICANA DE MEDICINA CRITICA CARDIOVASCULAR A.C., SE EXIME DE CUALQUIER RESPONSABILIDAD EN RELACIÓN CON LA INFORMACIÓN Y / O MATERIALES CON ACCESO HIPERVÍNCULO, BANNERS, IMÁGENES, VIDEO STREAMING, ETC., DESDE EL SITIO WEB CARDIOCRITICA.ORG QUE NO SEAN DE AUTORIA PROPIA. EL SITIO WEB CARDIOCRITICA.ORG ALBERGA UNA SERIE DE ENLACES A SITIOS WEB EXTERNOS, EN LA PRESTACIÓN DE ESTOS ENLACES, LA SOCIEDAD NO APRUEBA EL CONTENIDO, Ó LOS PRODUCTOS, Ó SERVICIOS Ó PUNTOS DE VISTA EXPRESADOS POR ESTOS SITIOS WEB EXTERNOS. LAS CONDICIONES DE USO Y CONDICIONES YA NO SON APLICABLES CUANDO SALGA DEL SITIO WEB DE LA SOCIEDAD. LOS TÉRMINOS Y CONDICIONES DEL SITIO ENLAZADO APLICARÁN POR CONSIGUIENTE. HIPERVÍNCULOS A LA SOCIEDAD SE PERMITE BAJO CONDICIONES LIMITADAS. EL REGISTRO DE USUARIOS, A TRAVÉS DE "ÁREA DE MIEMBROS/SOCIOS", ES NECESARIO PARA ACCEDER A LOS SERVICIOS PERSONALES CONTENIDO EN LÍNEA Y EN SU MOMENTO POR PAGO POR EVENTO. EL USUARIO ES RESPONSABLE DE MANTENER LA CONFIDENCIALIDAD DE SUS DATOS DE LA CUENTA DE INICIO DE SESIÓN. EL REGISTRO DE USUARIO ES ÚNICO Y PERSONAL. EL INGRESO AL ÁREA ES RESTRINGIDO/CON ACCESO ÚNICO. LA SOCIEDAD MEXICANA DE MEDICINA CRITICA CARDIOVASCULAR A.C., NO SE HACE RESPONSABLE DEL USO NO AUTORIZADO DE LA CUENTA DEL USUARIO POR UN TERCERO AL QUE EL USUARIO PUEDE TENER, DE FORMA DELIBERADA O NO, CONOCER SUS DATOS DE ACCESO A LA CUENTA. LOS SERVICIOS OFRECIDOS EN LÍNEA "ÁREA DE MIEMBROS/SOCIOS" SON PARA FACILITAR LA POSIBILIDAD DE ADQUIRIR SERVICIOS TALES COMO LA INSCRIPCIÓN A LOS CONGRESOS Y REUNIONES ORGANIZADAS POR LA SOCIEDAD, ASÍ COMO ACCESO A FOROS, TRANSMISIONES EN VIVO, Y ACCESO A CONTENIDOS ESPECIALIZADOS ASÍ COMO A NOVEDADES INFORMATIVAS. LA SOCIEDAD SE RESERVA EL DERECHO DE CAMBIAR O ELIMINAR DETERMINADOS CONTENIDOS CON O SIN PREVIO AVISO. SALVO QUE SE INDIQUE LO CONTRARIO, EL PRECIO INDICADO PARA CADA PRODUCTO O SERVICIO INCLUYE IVA INCLUIDO, Y EL COSTO SERÁ EN PESOS M/N. O DEPENDIENDO EL CASO EN DÓLAR AMERICANO. LA SOCIEDAD SE RESERVA EL DERECHO DE MODIFICAR SUS PRODUCTOS Y PRECIOS DE SERVICIOS EN CUALQUIER MOMENTO, AUNQUE LOS PRODUCTOS / SERVICIOS SE FACTURARÁN SEGÚN EL PRECIO APLICABLE CUANDO LA ORDEN FUE PRESENTADO POR EL COMPRADOR. EN SU CASO, Y A MENOS QUE SE ESPECIFIQUE LO CONTRARIO, LOS GASTOS DE ENVÍO NO ESTÁN INCLUIDOS EN EL PRECIO DEL PRODUCTO/SERVICIO Y CORREN POR CUENTA DEL SOLICITANTE. BAJO NINGUNA CIRCUNSTANCIA LA SOCIEDAD MEXICANA DE MEDICINA CRITICA CARDIOVASCULAR A.C.,O CUALQUIERA PERSONA DIRECTIVA/ADMINISTRATIVA/OPERATIVA AL IGUAL QUE SUS AFILIADOS CONTRIBUYENTES AL SITIO WEB, SERÁ RESPONSABLE ANTE USTED, COMO VISITANTE DEL SITIO WEB O DE CUALQUIER OTRA PERSONA O CUERPO, POR CUALQUIER DECISIÓN ADOPTADA O ACTUACIÓN COMO RESULTADO DE LA CONFIANZA EN LA INFORMACIÓN O FILOSOFÍAS CONTENIDOS O EXPRESA EN EL SITIO WEB CARDIOCRITICA.ORG. USTED ACEPTA QUE NI LA SOCIEDAD Y NI NINGUNA PERSONA CONTRIBUYENTE AL SITIO WEB, SE HACE RESPONSABLE POR CUALQUIER DAÑO O PÉRDIDA (INCLUYENDO, DAÑOS DIRECTOS, INDIRECTOS, ACCIDENTALES, O ESPECIALES), O PÉRDIDA DE DATOS O PÉRDIDA DE BENEFICIOS, AUN CUANDO LA SOCIEDAD O CUALQUIER PERSONAL AFILIADO O COLABORADOR DEL SITIO WEB HA SIDO INFORMADO DE LA POSIBILIDAD DE DICHA PERDIDA. USTED IRREVOCABLEMENTE PUEDE INDEMNIZAR A LA SOCIEDAD MEXICANA DE MEDICINA CRITICA CARDIOVASCULAR A.C., SUS AFILIADOS Y EL PERSONAL COLABORADOR DEL SITIO WEB CARDIOCRITICA.ORG CONTRA CUALQUIER PÉRDIDA, DAÑOS Y COSTOS, SUFRIDOS O INCURRIDOS HACÍA LA SOCIEDAD POR CUALQUIER NATURALEZA, QUE SURJA DE O EN CONEXIÓN CON SU USO, SUMINISTRO O DISTRIBUCIÓN DE INFORMACIÓN O CUALQUIER PARTE DE LOS CONTENIDOS QUE COMPONEN AL SITIO WEB CARDIOCRITICA.ORG, Y QUE SE PLANTEAN EN RELACIÓN CON CUALQUIER VIOLACIÓN DE ESTOS TÉRMINOS Y CONDICIONES POR USTED. CUALQUIER CONTROVERSIA RELACIONADA CON EL SITIO WEB DE LA SOCIEDAD O CON ESTOS TÉRMINOS Y CONDICIONES SERÁ PRESENTADA ANTE EL ÓRGANO JURISDICCIONAL QUE CORRESPONDA, INDEPENDIENTEMENTE DE LAS NORMAS RELATIVAS A LA LEGISLACIÓN EN CONFLICTO. LA SOCIEDAD MEXICANA DE MEDICINA CRITICA CARDIOVASCULAR A.C., NO VENDE, INTERCAMBIA O RENTA SU INFORMACIÓN PERSONAL (MIEMBROS/SOCIOS) A TERCEROS. LA SOCIEDAD PODRÁ SUMINISTRAR SU INFORMACIÓN BÁSICA DE CONTACTO A SUS CONTRATISTAS PARA REALIZAR SERVICIOS ESPECÍFICOS (POR EJEMPLO, ENVÍO DE AVISOS, NEWSLETTER, PUBLICIDAD CORPORATIVA, AVISIOS Y NOTIFICACIONES, O CUANDO SE CONTRATEN SERVICIOS ESPECIALES POR PAGO POR EVENTO). LA SOCIEDAD NO REVELAR INFORMACIÓN PERSONAL A CUALQUIER OTRA PERSONA U ORGANIZACIÓN SIN SU CONSENTIMIENTO.